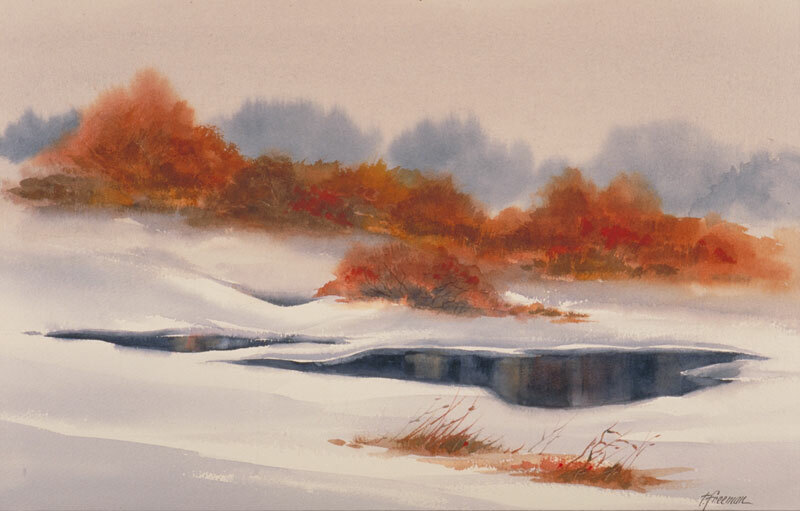 Thomas Freeman Original Watercolor Painting: "Early Snow"
We were heading back to the Minneapolis airport one Thanksgiving when I spotted this scene out the window at 60 mph. I saw the contrast of the snow, some reddish bushes in the foreground and farther behind it the blue-tinted foliage. When I got home I sketched it out, adding more snow and shrinking the water somewhat.